If you go from Athens port Piraeus along Aegina island you will notice a small hilly island of Agistri. Unlike other islands around, it is fully covered by forest. 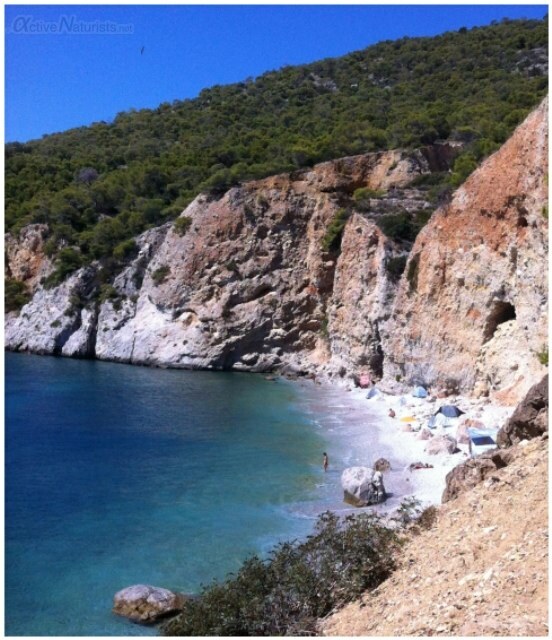 Also, it has plenty of small bays with sandy and pebbly beaches. One of them is known as a naturist beach. 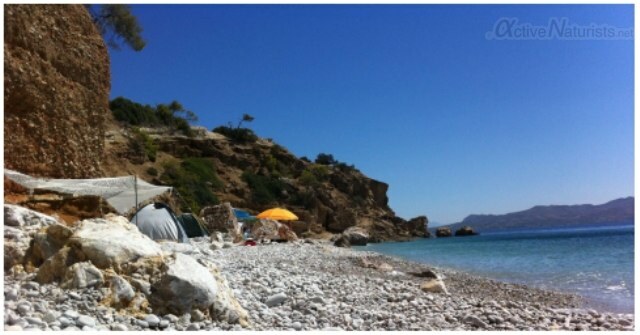 Considering that getting to Agistri from Piraeus takes about 50min, it is an excellent alternative to naturist beaches around Athens on the mainland. 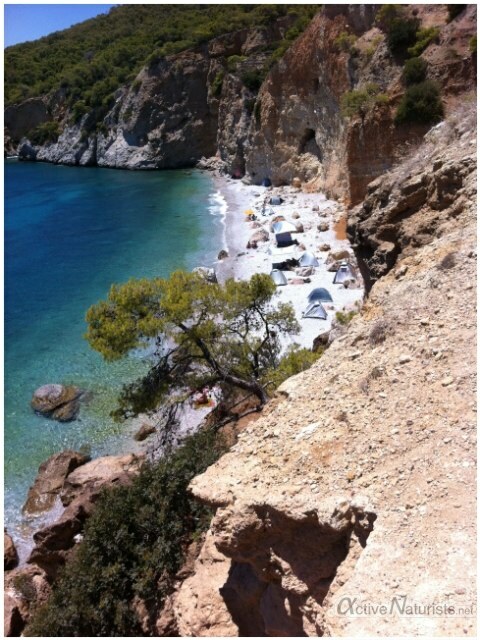 Or if you are on Aegina island already, you can get from there too (Flying Dolphin in 10min, Agistri Express in 15min). From which you’ll need to take a bus to Skala beach (€1.5), but ferries and Agistri express come directly to Skala pier. 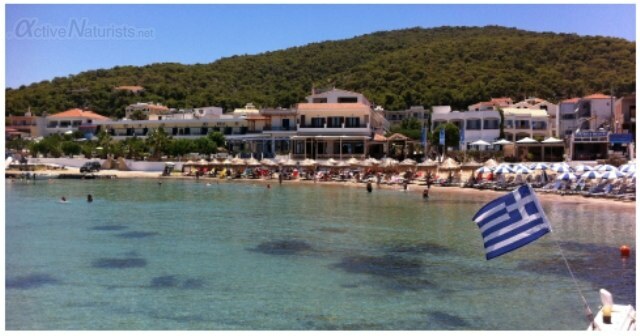 Skala is a neat beach with clean sand, small tavernas and hotels. Go further south along the sea and eventually the road turns into a trail. You’ll see a hill covered with pine trees that has an entire tenting camp site. And no wonder, fresh sea breeze and pine smell create a perfect atmosphere. The bays is hidden behind a small cape, and the way down is not obvious. When I came to the edge of the cliffs, right by my feet, a head of another naked tourist appeared. That’s how I found out the trail leading to the beach. From down there I saw some people above who probably couldn’t find there way down. Oh well, but I couldn’t complain, as that was what probably helped to keep the beach so pristine! This story and photos were contributed by our reader from Moscow, Igor. thank you, Igor! looking forward to more contributions from around the world!